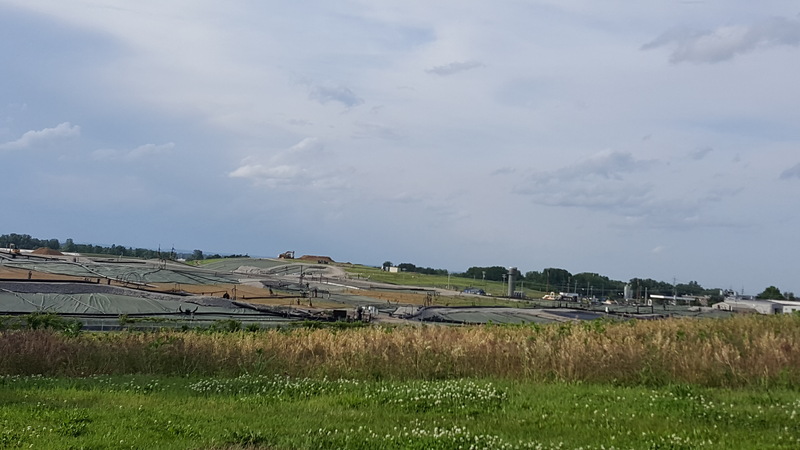 U.S. Environmental Protection Agency (EPA) Acting Administrator Andrew Wheeler signed the Record of Decision (ROD) Amendment for the West Lake Landfill Superfund Site in Bridgeton, Mo. This document amends the 2008 ROD and finalizes the agency’s cleanup decision for Operable Unit 1 at the site. EPA issued its proposed plan on February 6, 2018. The Record of Decision Amendment requires excavation of radiologically impacted material (RIM) greater than 52.9 picocuries per gram generally down to a depth of 12 feet. The remedy also calls for an optimization during remedial design which will identify certain areas for continued excavation beyond 12 feet down to as deep as 20 feet. It also will identify limited instances of isolated pockets of RIM at concentrations greater than 52.9 picocuries per gram between 8 and 12 feet to remain in place. The improvements made to the proposed plan will reduce exposure to the community and cleanup workers, shorten construction time by a year, and allow the flexibility to more efficiently remove contamination from the landfill. By focusing on areas with higher radioactivity, virtually the same total amount of radioactivity as the preferred alternative in the proposed plan will be removed, while reducing the amount of material that has to be handled – roughly 61,000 cubic yards less of non-radioactive waste that has to be handled. Thanks to these improvements, our final remedy will be completed a year sooner and for $30 million less. We believe this decision strikes the right balance and emphasizes the health and safety of the community. After completion of the excavation, an engineered cover will be installed over the landfill, consistent with landfill closure requirements and the Uranium Mill Tailings and Radiation Control Act (UMTRCA). EPA expects the remedy to take approximately three years to complete after construction begins and cost $205 million. The U.S. Department of Energy, Cotter Corporation, and Bridgeton Landfill LLC are the Potentially Responsible Parties who are responsible for paying costs for cleanup and EPA oversight. The ROD Amendment paves the way to the remedial design phase. Once the design begins for OU-1, it will take about a year and a half to complete. EPA will make every effort to reach an enforceable agreement with the PRPs to perform the cleanup work. The West Lake Landfill Superfund Site is an approximately 200-acre inactive solid waste disposal facility located in Bridgeton, Mo. The site was used agriculturally prior to 1939 when a limestone quarrying and crushing operation began. Beginning in the early 1950s, the quarried areas and adjacent areas were used for landfill municipal refuse, industrial solid wastes, and construction/demolition debris. Two areas of the site were radiologically contaminated in 1973 when 39,000 tons of potentially contaminated surface soil mixed with 8,700 tons of radioactive leached barium sulfate residues were reportedly stockpiled at the site and use for landfilling operations. EPA placed the site on the National Priorities List in 1990. This entry was posted in Environment and tagged Radioactive Waste, STLRadioactivewaste, West Lake Landfill. Bookmark the permalink.